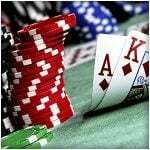 The Labouchere System is gambling strategy that is most commonly used by players during the popular casino table game of roulette. Also referred to as the Split Martingale System or Cancellation System, this strategy begins with the player choosing what win amount they wish to hit by the end of their session at the table. This chosen amount is written down in a sequence of numbers in an order that they total up to the pre-determined win amount. The player will then start to play at the table by betting an amount that is equal to the first and last number in the sequence added together. If the bet is successful then the player will cross the two numbers used off their list and move on to the next two numbers that are first and last in the sequence. If the bet is unsuccessful then the player will add the amount bet to the end of the sequence of numbers and then proceed with the next bet where they will once again choose the first and last number of the new sequence, add them together, and bet that amount. This process will continue until the player completes their list by erasing all the numbers on the list. Theoretically, the player will require a win percentage of 33.34% in order to eradicate every number of the list and complete their strategy. There is also a subsidiary version of the Labouchere System and this is simply called the Reverse Labouchere System. It does exactly what it says by reversing the system. Instead of deleting two numbers from the sequence after a win, the player will add the bet amount to the sequence after a successful bet. Then, when experiencing an unsuccessful bet, the player will delete the two numbers from the sequence of numbers. 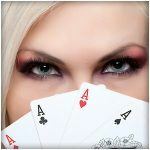 The player can then start their sequence again if they run out of numbers and wish to continue betting. The Reverse Labouchere System is often used because the player doesn’t want to pre-determine an amount that he wishes to win but set a maximum amount for losing. Once again, this will encourage disciplined play to avoid the player from becoming sucked into placing bets that he cannot afford if the unsuccessful bets outweigh the successful bets and amount to the player ending up with an overall loss. 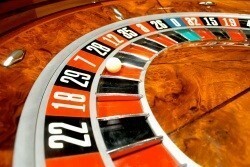 Out of all the other roulette strategies available out there, including the Martingale, D’Alembert, and Paroli Systems, the Labouchere System is undoubtedly the one strategy that encourages players to remain at their most disciplined but also ensures that the enjoyment of the table is not lost during the practice of the strategy. If a strategy cannot guarantee a win, it can provide the player with a solid base for disciplined and enjoyable roulette play and therefore compensates the player to some extent. 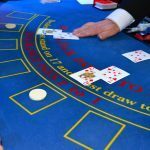 However, the Labouchere System might appear to be as close to a flawless strategy as one could find on roulette but there is one major downside to approaching a game of roulette using this strategy. That downside is the bankroll of the player. The more frequent the losses a player might endure, the more money they will need in order to make the strategy work. If the player experiences a run of poor results early on then it could force the player to abandon their strategy due to a lack of funds. It is also possible that if a player suffers a consecutive number of losses or an unusually large number of repeated losses then there could well be a table limit that does not allow them to complete their strategy so that is another potential negative factor to consider when adopting this strategy. 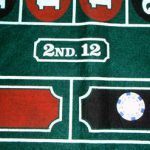 Essentially, the Labouchere System relies on the fallacy that roulette is a game of patterns and that over time, without a budget or table limits taken into consideration, you can always win. Unfortunately, that is not the case and every spin of the roulette wheel is as unpredictable as the last. So the hard reality is that no strategy is a guaranteed winner for players and the Labouchere System is no exception. On the contrary, out of all the strategies that are available to players in roulette, the Labouchere System offers the best chance for players to not only end up with a successful desired win amount but also help players maintain their discipline during the strategy process. Often when adopting a strategy it can be hard to stick to the plan, especially if it is a long term strategy and it starts off with a run of unsuccessful bets. The Labouchere System might not deliver positive results every time but it provides a very solid base for players to have the best opportunity to win at the table.